In 2014, our default theme lets you create a responsive magazine website with a sleek, modern design. 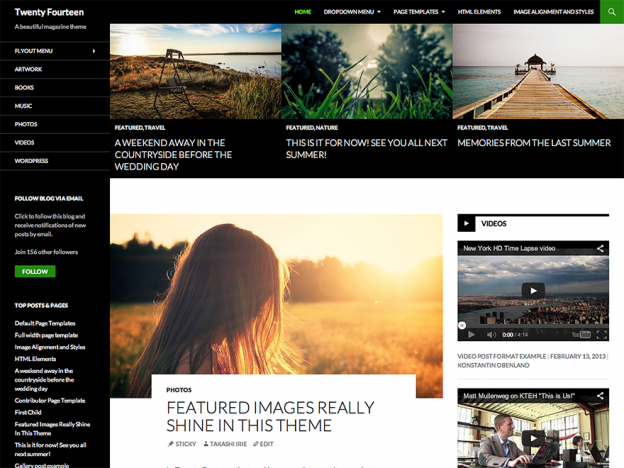 Feature your favorite homepage content in either a grid or a slider. Use the three widget areas to customize your website, and change your content’s layout with a full-width page template and a contributor page to show off your authors. Creating a magazine website with WordPress has never been easier.